Just like the original MERGING+NADAC, the MERGING+PLAYER still enables connection to any player, server or computer on the network and its AES, Optical and Coaxial SPDIF inputs allow other digital equipment to be connected. The MERGING+PLAYER thus has identical features to the original MERGING+NADAC but without the need to have an additional computer to access your music files. Simplicity itself! A MERGING+PLAYER ships to Europe within 3 business days. and to the U.S. within 7 business days. This open and published IP network technology had been created to meet the demands of national broadcasters and focused on essential requirements of extremely accurate clocking, high resistance to packet loss and very low latency. Initially it did not encompass high PCM sampling rates and certainly not DSD. However, itwas not difficult to make changes to allow that, so Merging worked closely with the developers to make sure that sufficient channels at up to DSD256 could be handled with an accuracy that exceeded anything previously available. It remains the only logical choice for the professional and theaudiophile and is now available in MERGING+NADAC. 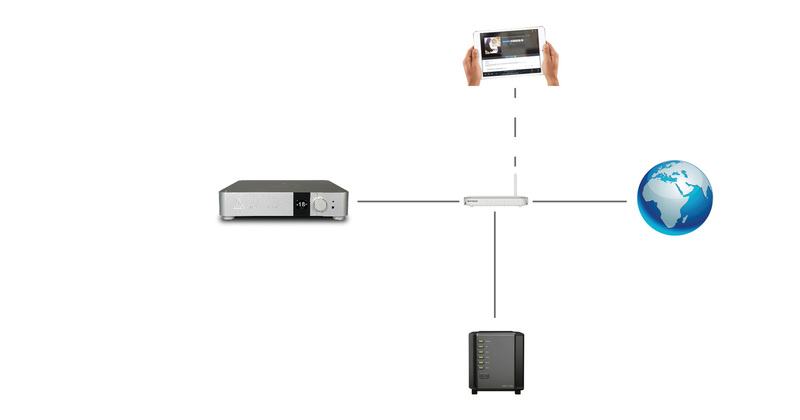 The added bonus to using an advanced networking solution is being able to send and receive control information as well as audio data. This opened up exciting possibilities in the studio and now you can enjoy these same benefits in your own home. The RAVENNA protocol comes with absolutely standard drivers for any computer operating system. ASIO for Windows, CoreAudio with DoP support for MacOS. As easily installed and configured as any other driver for USB or Firewire, the MERGING+NADAC RAVENNA driver allows use of any application of your choice to playback your music files, Emotion, JRiver, Audirvana, iTunes, etc… as well as any music server or streamer able to communicate through those standard ASIO or CoreAudio drivers. See more connectivity options on the NADAC page. However MERGING+PLAYER enjoys an additional CPU that allows running RoonCore on Linux RoonOS and implements a Roon Endpoint. It connects internally through Ravenna to the MERGING+NADAC hardware and enjoys then the exact same characteristics and flexibility as an external computer running Roon.